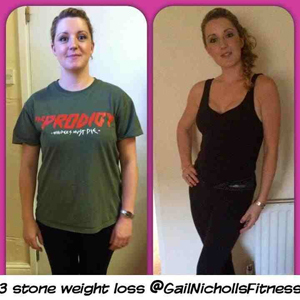 I joined Gail’s Boot Camp in April 2012 7wks after the birth of my 2nd baby, this time round I decided I wanted to get back into shape & quick! When I turned up I was extremely nervous after nearly a year off exercise, I wasn’t sure what I would be able to achieve & was well aware my fitness levels were very low, but I was greeted by a very friendly & enthusiastic Gail. I got weighed & measured & followed a four week diet plan exercised twice a week with a group of other ladies & gentlemen on the camp. After 4 weeks I got my weigh in & had the most amazing result an incredible 14lbs! I was so pleased & loving the exercise & healthy eating, I then joined up for the next Boot Camp but this time I introduced Zumba before the Boot Camp class, another 4 weeks a diet plan done & another 14lbs! I’ve now done quite a few boot camps & I’ve loved them! I also now do Gail’s Boxerbeat & X-KOR classes. If you’re reading this & wondering whether to give it a go, do it! 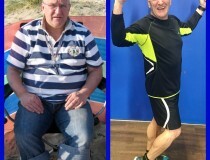 I am proof with a little dedication & discipline u too can achieve amazing results! 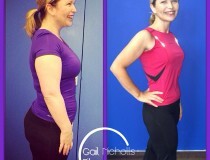 Many thanks to Gail who puts her heart & sole into “Gail fitness”…. and leaves you wanting more!